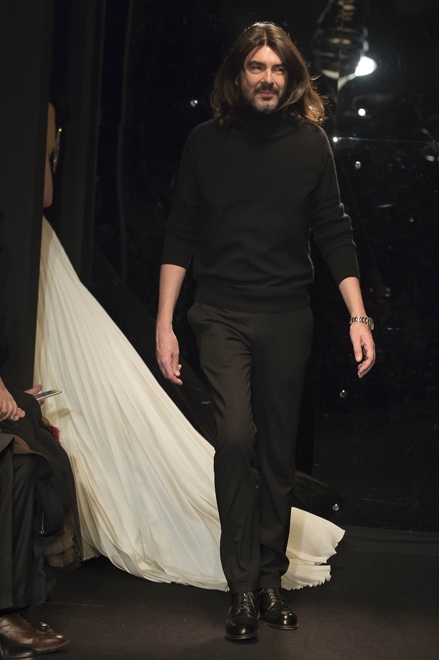 Stéphane Rolland brought us back to the past and gave us a little taste of the golden era of haute couture. Once upon a time, before the idea of ​​prêt-à-porter raised by Yves Saint Laurent with his Rive Gauche line, haute couture show was very intimate and sacred, far from the frenetic dizzying vavavoom. Invitees sat on little chairs, in a French-storey wooden house that acted as a runway. Models walked slowly, without music (or with classical music), and every exit began with an announcement of the name of each look (each dress or suit has a name) along with the description of the look, and every model holding numbered card. Every eye focused on the essence of haute couture: the clothes; not how big the set was built, how many celebrities were present, or how loud the music was being played. 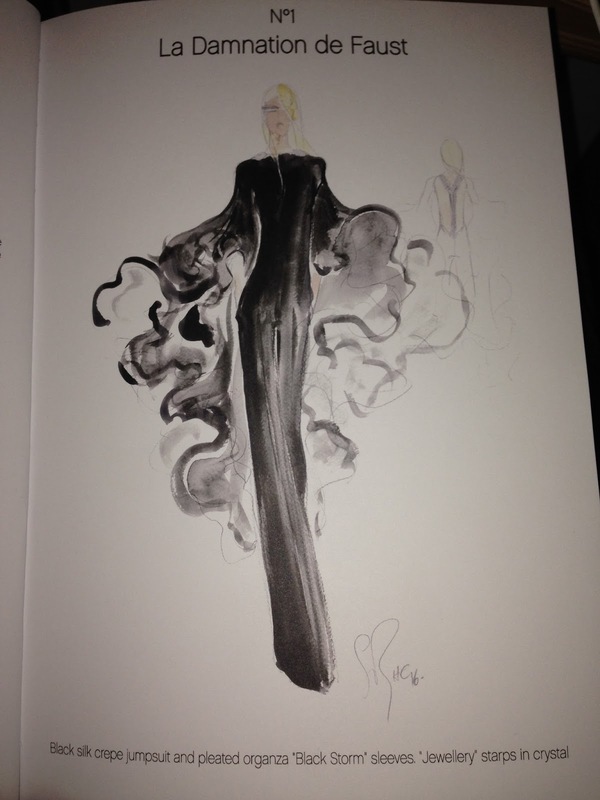 Stéphane Rolland evoked this classic spirit of haute couture in the past by presenting these elements. Dresses called La Damnation de Faust (black jumpsuit made from silk crepe with sleeves pleated organza), Thaïs (long dress made from black and white silk with dramatic sculptural accents on the shoulder), and Un Oiseau de Feu (basket skirt made of bright red silk faille with suede sweater full of 3D embroidery) were three of the seventeen presented looks. A tiny amount to the normal size of haute couture (back then it used to show hundreds of them), Stéphane's usual major vision was less well explored. 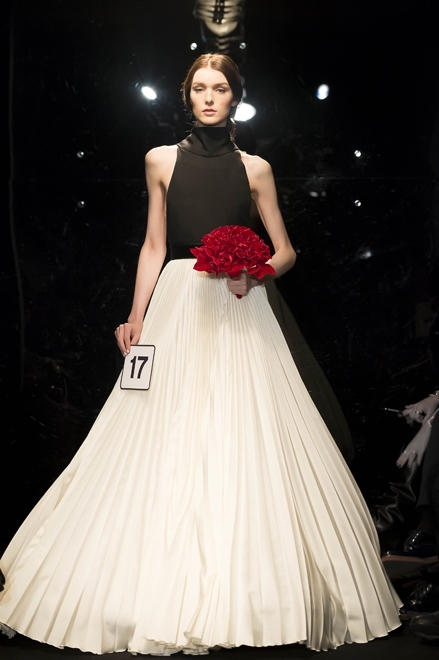 However, it is noticeable how the golden days of couture bounced back, so elegant, so grande, and, so haute. 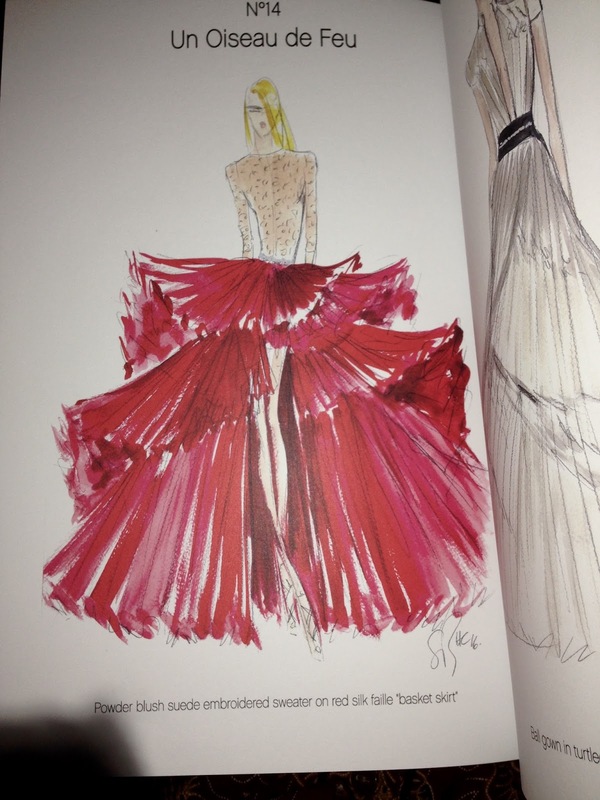 Shownote containing sketches (people call it croquis, but it is only original croquis when a litte piece of fabric sample is attached) created by Stéphane together with a description of each dress couture gave me a rare experience. Somehow it feels very different, very touching. This collection does not have anything other than a row of evening dresses and ball gowns, but the glamor and attitude that is so captivating made me realize that haute couture is an art form with excellent taste, with a high level techniques and skills that are so sensitive and caring in each display. Very enchanting. Signorfandi, couturiers, please bring this ambience back!